The Corporate Law Attorneys at KALIS, KLEIMAN & WOLFE help business owners establish the right formation for their business, including home based businesses. Our focus is to help a business owner comply with all requirements and restrictions, which can help avoid potential legal issues in their community. Often times, it is a neighbor’s complaint that puts one’s business on the radar of a regulating entity (the government, an HOA, etc.). In 2014, according to the Small Business Administration, more than 50 percent of small businesses were home-based. Home-based businesses can offer low overhead, helpful tax incentives, among other potential benefits. Property Use, Zoning & City Ordinances – does your business comply with local zoning rules (signage, parking, number of employees, etc.). HOA’s & CC&R’s – does your Landlord or Home Owner Association (HOA) have any Covenants, Conditions or Restrictions (CC&R). Licensing and Permits – does your business have the necessary licensing or permits. Forms of Organization and Registration – have you completed the appropriate paperwork. Contracts and Agreements – do you have the necessary contracts and agreements in place to protect your business. Insurance – does your business carry the appropriate insurances to protect you and your business (commercial property insurance, professional liability insurance, etc.). Taxes – do you know your tax implications or if you qualify for any small business tax deductions (rent, public utilities, insurance, property repairs, etc.). 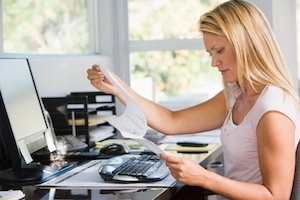 The law surrounding home-based businesses is often complicated and each situation is unique. It’s also important to note that home-based business face the same liabilities as other businesses. If you are starting up a home based business or you have questions regarding other business matters or your legal rights, contact the experienced Business Litigation Attorneys at KALIS, KLEIMAN & WOLFE, the South Florida-based law firm at (954) 791-0477.